Another exhausting academic year went by (not without some extremely pleasurable victories against the forces of evil), and I have now begun that precious periodic institutional observance that keeps university faculty from having to be institutionalized: sabbatical! This time it’s only one semester, and although there are still six months to go I already feel like I’m running out of time. But I will not complain. 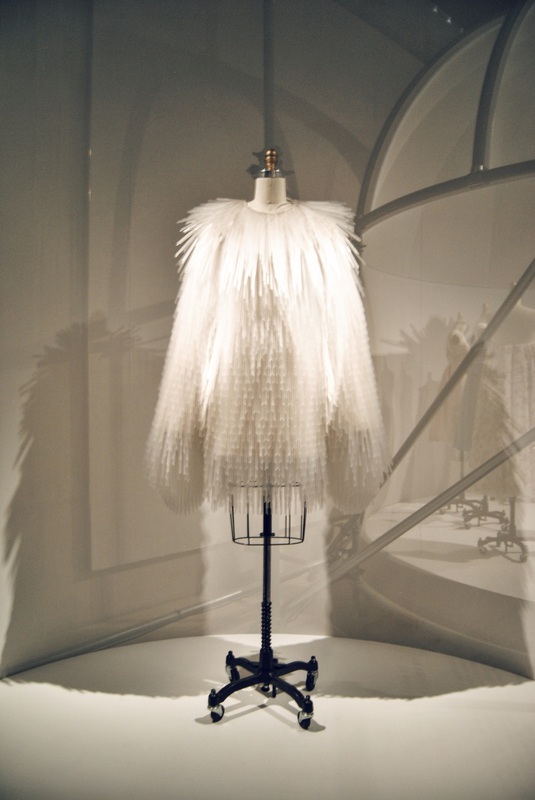 followed by checking out the Metropolitan Museum’s latest Costume Institute exhibition. So that was that and then I left New York, not without grudgingly saying goodbye to a lovely lad who may or may not be waiting at the quay, in French Lieutenant’s Woman style, when I return (I hope he is). As solace to my grief, I was greeted in Barcelona by my lovely lad from last summer Mr. P, who did weather the disagreeable easterly winds for a year (💕). I may have found the secret to happiness in my old age. Also waiting for me at the quay were dearest Messrs. S and A, who kindly helped me get settled in (an ongoing process). This year’s FABULOUS digs belong to Miss L, who exchanged her smaller Gràcia pied-à-terre for a small two-bedroom and is generously letting me rent it although she’s barely had the opportunity to enjoy it herself. The apartment is perfect save for the disciplined aspiring flutist next door–but I did live through an aspiring jazz drummer in my last flat. Miss L has tastefully renovated the place with some typical Barcelona architectural elements like the volta catalana and recovered antique hydraulic floor tile. Also it has the most delicious shower in town–wonderful rainfall showerhead plus handheld, and I swear the space is large enough for a crowd (party!). Eixample Dreta is yet a new neighborhood for me–I don’t know how, after nearly thirty apartments in Barcelona over the course of as many years, I manage to always end up in a different part of what is actually a fairly small city. Unlike my recent ‘hoods in Ciutat Vella, the Barri Gòtic and Sant Antoni/Raval, Eixample Dreta is a definitely upscale, stately modernista district. As is readily apparent in the stately modernista entrance to my Passeig Sant Joan building, which never fails to put me in a good mood as I get into the tardis-like elevator. The first paper had to be churned out during my very first week in Barcelona, as I was due to present it at the First Annual Meeting of the International Association for Polysystem Studies–an exciting new project undertaken by collaborators whose work has been interrelated for well over twenty years (and also an excellent excuse to go to Iceland). was actually quite interesting, featuring thirteen scholars from nine countries (Iceland, Israel, Italy, Hong Kong, Netherlands, Turkey, Brazil, Spain, and the US) and fields ranging from literature/translation studies to history to economics. All were analyzing different types of culture–from national to corporate–from a common set of parameters based on the Polysystem Theory first developed by Even-Zohar and interdisciplinary methodologies following the model of Tel Aviv University’s Unit for Culture Research. My own paper focused on Puerto Rico’s present economic and political situation, and all these wise doctors from all corners of the globe coincided in concluding that it is hopeless and there is no solution. I think Jorge Luis Borges phrased it more poetically, though. It was revealed to you you were a coward. As in your book repeatedly it fell. At Reykholt I got to stay in Nes Guesthouse, a typical Icelandic farm lodging I would have enjoyed more if I liked golf (it has a course) instead of large beds and private bathrooms. The most remarkable thing about it was the inkeeper, who looked exactly as I imagine Rip Van Winkle, and I’m pretty sure we woke him up from a twenty-year sleep (but this may be the wrong folklore tradition). And I had every meal at the restaurant in Fosshotel, which offered only two entree options–cod or lamb–but they were both fresh and cooked to perfection. Reykholt is also, as I mentioned, remote: as in, not that far from Reykjavik but virtually unreachable except in your own rental car. Hence, I drove in Europe FOR THE FIRST TIME EVER, taking care not to run over any sheep as the “How to Drive in Iceland” brochure said I’d have to pay for it if I broke it (however, no native Icelanders seem to know how much a sheep is worth). Luckily, my friend and colleague Miss O was available as co-pilot (I would have been too chicken to drive on my own) and, once the symposium was over, to accompany me on a couple of exploration days guided by our untrustworthy GPS, Bergur (whom we named for the somewhat more helpful Director of Snorrastofa, unbeknownst to him). Like all males in a car, Bergur was fond of issuing stern orders, and you could almost see him rolling his eyes when instead we followed the competing recommendations of the (unnamed) female in my TomTom phone app. But this had to be done, as he was also fond of declaring “You Have Reached Your Destination” when we were obviously not anywhere near not just our destination but any other human settlement. We surmised that, being Icelandic, perhaps he could see things that were invisible to us, and lo and behold, Miss O: we were right! Apparently a not-totally-insignificant number of Icelanders (54% according to a 1998 poll) believe in huldufolk or invisible elves, who have their own invisible towns and get really upset when the government tries to build roads through them (and yes, civic-minded elves that they are, sometimes “seers” have convinced them to relocate). So Bergur, as it turns out, was just trying to show us the real Iceland, because like so many of his compatriots he has joined the increasingly massive tourism industry: in 2011, when I fist traveled there, Iceland had 565,000 visitors; in 2015, 1,289,140 (the country’s current total population is 331,862). But since I sadly missed all the elf dwellings in his Huldufolk Tour, in the second part of this post I’ll have to tell you only about the sights I did catch.